At our Sunday evening forum in Wychwood Library we recently dipped into Jonathan Sachs’ book The Great Partnership, a book about bringing together two very different approaches to understanding the world. The third section of the book is entitled Faith and Its Challenges. In the chapter ‘Where Religion Goes Wrong’, Sachs bravely tackles a number of instances of religion getting a bad name, sometimes with good reason. He mentions five ‘hazards’ to which he admits the Judeo-Christian tradition has been prone, of which one is Dualism. Dualistic thinking seems to be everywhere these days. Chambers English Dictionary defines philosophical dualism as a view which seeks to explain the world by means of two separate elements, as in spirit and matter or good and evil. It is to the second of these that Sachs refers. The conclusion it is tempting to draw from the existence of ‘unjust suffering’ in the world, he says, is that there must be ‘forces of evil, as an independent, active force, apart from and opposed to God’. With the Woolwich massacre fresh in our minds and the ensuing attacks on mosques, it is all too easy to recognise this sense of good and evil, of judgment, violence and vengeance. Sachs’ answer is simple, even if it would need a sermon to unpack it: ‘The most powerful antidote to dualism is monotheism.’ Monotheism, he says, ‘refuses to split light and dark, good and evil, into separate forces or entities’. Sachs’ God created them all and encompasses them all and ‘forces us to wrestle with the ambiguities of our own character, the necessity for moral choice and the inescapability of personal responsibility’. Tell that to the reasonable-sounding Tommy Robinson of the EDL. 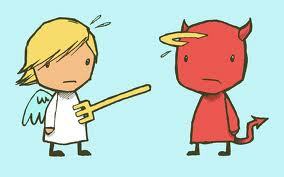 Another related instance of dualism is found in a recent book about what one might call “spirituality for the ageing”! Dualistic thinking is here not spirit and matter, nor good and evil, but rather what the author calls ‘the well-practised pattern of knowing most things by comparison’. We are all happier knowing where we are in terms of up or down, in or out, right or wrong, for me or against me, black or white, gay or straight. 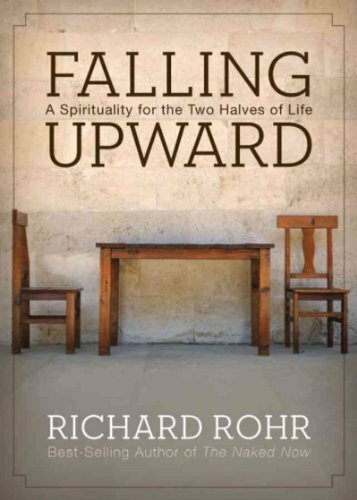 But Richard Rohr, a Franciscan priest addressing a Christian audience albeit with an intriguing Jungian agenda, says this dualistic thinking is characteristic of a ‘first half of life’ attitude. In his book subtitled A Spirituality for the Two Halves of Life, he says we need to build on this phase but also move on from it into what Jung called the ‘second half of life’. A new capacity for ‘non-dualistic thinking’ or ‘both-and thinking’ is, he says, ‘almost the benchmark of our growth into the second half of life’. As someone who definitely hit the stereotypical mid-life point some time back, I have asked lots of new questions and been dissatisfied with the traditional answers. I have also looked back at what my own first half of life was like and I found a lot of resonance in Rohr’s book. Dualistic thinking is necessary in the first half of life in order to draw boundaries and set up clear goals. We desperately need to find an identity – so much easier if we can do so by excluding what we are not or wouldn’t want to be. But this approach exists only through comparing and labelling, judging and polarising. 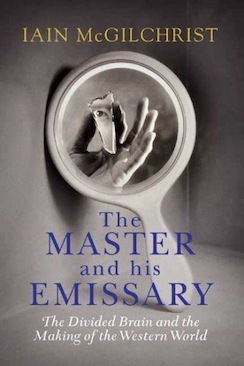 The danger, as Rohr sees it, is that we get trapped into this way of thinking: Most people do not see things as they are; rather, they see things as they are. … Buddhism has helped people see this in themselves probably better than most of the world religions. … In the first half of life, the negative, the mysterious, the scary, and the problematic are always exported elsewhere. Doing so gives you a quick and firm ego structure that works for a while. [But]… Eventually this overcompensation in one direction must be resolved and balanced. This integration … is the very name of growth, maturity, and holiness. Since Pierre Paul Broca discovered the location of language-processing skills in the left side of the brain, neuroscientists have come to understand the marked difference between the brain’s two hemispheres and how they process information. 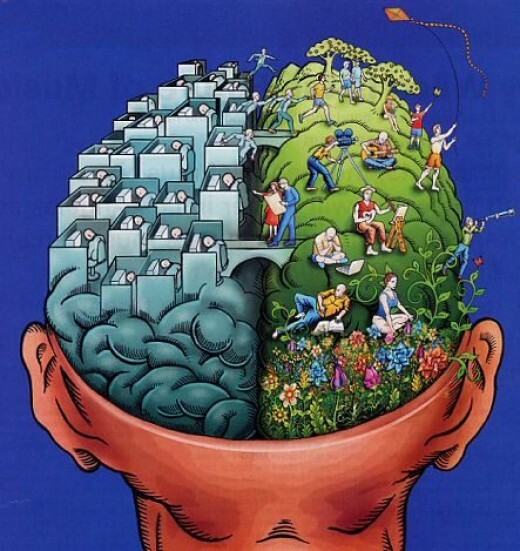 The left hemisphere tends to be linear, analytical, atomistic and mechanical. It breaks things down into their component parts and deals with them in a linear, sequential way. The right brain tends to be integrative and holistic. Our whole idea of what counts as scientific or professional has shifted towards literal precision - toward elevating quantity over quality and theory over experience - in a way that would have astonished even the 17th-century founders of modern science, though they were already far advanced on that path. ... And the ideal of objectivity has developed in a way that would have surprised those sages still more. we all supposedly believe that we are part of the natural biosphere, not colonists from spiritual realms - when indeed many of us deny that such realms even exist - seems rather surprising. We have been sold a sadly limiting version of who we as human beings are, and how we relate to the world. Inside each one of us there is an intelligence, in fact a superior intelligence, that sees things differently from the way we have been told - if we would only listen to it. Let's hope that we can. A suggestion emerged at the end of a fascinating Cheltenham Science Festival event this month on the so-called ‘non-overlapping magisteria’ of science and religion. Actually - the immunologist and bishop of Swindon advanced - they do overlap and that overlap is precisely where we really get talking about ‘what it is to be human’. Which is as good an anti-dualist point as any to round off this post. I like the sound of the Rohr book - definitely one for my reading list . I would like to commend 'Finding meaning in the second half of life' by James Hollis a Jungian psychoanalyst who writes about the 'collision of selves', a reference to the divided self which need integrating in the second half...dualism again.. Yes, Christine...it is funny how "dulism" crops up again and again isn't it? I think what underpins the concept of dualism is the human belief in "Causality", i.e. your comment concerning the "collision of selves" sounds awfully like Hume's Billiard Ball model don't you think? I remember Dawkins saying that if a child asked him whether Father Christmas existed...he would not respond to the child by saying that Father Christmas did not exist...he would instead say..."Well, let's look at this problem, one Father Christmass and how many chimmney's in the world?" His a priori here that he did not question is that Causality is a human world-view model, i.e. it is purely theoretical....and he simply used this world-view to get his point across, i.e. that Father Christmas does not exist. Yes, I had a go at the Hollis book. Rohr is easier-going! I am not going to answer that one. I have been asked many times and most of the people asking want someone to provide them with concrete evidence that they should believe in God rather than figuring it out for themselves. Is that a NO, do you think? !